Athens' desire to take back foreign migrants who relocated from Greece to Britain, France, Germany and other countries reflects the EU's failure to duly resolve the "thorny" refugee issue, an expert on migration told Sputnik. On Friday, The Guardian newspaper quoted the Greek government as saying that EU countries will return refugees from the Middle East and Africa to Greece where they first sought asylum. Renos Papadopoulos, a professor in the Department of Psychosocial and Psychoanalytic Studies and director of the Centre for Trauma, Asylum and Refugees, both at the University of Essex, said that "most European countries see the issue related to migrants and refugees as a thorny topic, and all of these countries tried to deal with it in the best possible way." He said that "they were trying to balance out not only the needs of those people who have been suffering but also consider so many other different parameters." "Unfortunately, this entire tragic situation is becoming political football. This is a sign of the lack of any clear European strategy that addresses the [refugee] issue in a serious, fundamental and comprehensive way," he pointed out. "Therefore, what we have instead are these patchy, spasmodic and sketchy things, aimed to save face and placate everybody at the expense of these poor people," Papadopoulos said referring to refugees. According to him, no one in the EU has a clue about how the process of returning migrants to Greece will be fulfilled, something that indicates that "they are not really addressing the [refugee] issue." Greece has agreed to take back foreign migrants who relocated from the country to the UK, France, Germany, the Netherlands and Norway. — dailyhellas (@dailyhellascom) 25 августа 2017 г. 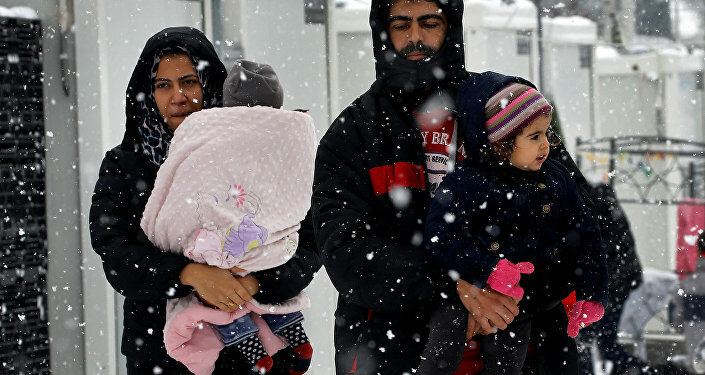 The resettlement will affect only refugees who have arrived in the EU since March. Greece's migration minister, Yannis Mouzalas, told The Guardian that the returns are expected to start next month. 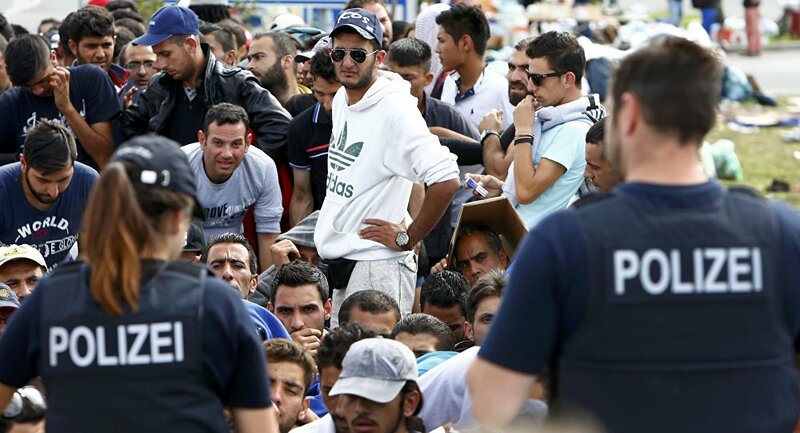 Unnamed officials in Berlin and Athens told The Guardian that Germany has made nearly 400 resettlement requests. The newspaper provided no statistics for the other EU states on the planned return of refugees to Greece. — Katja Lihtenvalner (@Lihtenvalner) 22 августа 2017 г. The Greek minister called his country's decision "an act of friendship" towards fellow EU member states. Minister Mouzalas noted that Greece has already hosted a huge number of migrants without sending them elsewhere to the EU and continues accepting refugees. Refugees in Greek reception centers often hold protests amid overcrowding and poor living conditions. Greece was at the center of the 2015 migrant crisis, when close to a million refugees entered the country, mostly from war-torn Syria. Most of the migrants travel through Greece elsewhere in Europe. The number of people arriving dropped dramatically when the EU reached an accord with Turkey 17 months ago to help accommodate refugees from Syria. But hundreds are still arriving each week.